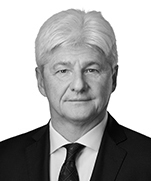 István Réczicza is a partner in Dentons’ global Litigation and Dispute Resolution group and he is also the Hungary Managing Partner. He focuses on the areas of telecommunications, energy, mergers and acquisitions (M&A), and intellectual property regulation, particularly as these relate to transactions involving foreign investment. In the course of representing clients in these fields, István has become one of Hungary's leading figures in the analysis of industry regulation and the drafting of proposed amendments in connection with such legislation. István has a significant track record advising on litigation and domestic and international arbitration matters, as well as white collar matters. Over the years he has represented numerous clients before the International Centre for Settlement of Investment Disputes (ICSID), including recently the Republic of Hungary in a significant victory following an arbitration tribunal’s rejection of all claims brought by the plaintiff. He also represented a client in the first ever case brought before the Hungarian Energy Arbitration Court. Furthermore István has significant white collar experience, having conducted several internal corporate investigations. Widely recognized as a leading M&A lawyer, István has advised on a number of landmark transactions. For example, he advised a UK leading airport operator in the US$2.2 billion privatization of a Central European airport operator, in relation to the acquisition of the said airport operator by a Spanish construction group, and a newly formed entity in its sale of the airport operator's majority stake in the above mentioned Central European airport operator to a leading German construction company for €1.9 billion. István also advised the airport operator on the restructuring of approximately €1.6 billion of its debt. One of Hungary’s leading figures in the field of TMT regulation, István has advised the government and state agencies on issues including the revision of national communications and media legislation, and has also helped to prepare Hungary’s implementation of EU directives on electronic communications. The Hungarian state: Advising on various contractual matters within the framework of the Paks II Nuclear Power Plant project. An airport operator: Advising on the material restructuring of all current debt of the airport, the debt is maturing in financial year 2019, respectively 2020. The airport is currently financed through equity, shareholder loans, bank and mezzanine debts, and our tasks comprises the updating and issuing a legal due diligence report, advising on the refinancing or amendment strategy of both the Senior and the Mezzanine tranches, and restructuring the security and swap agreements. We are also advising the client on adjusting the shareholder financing as well as the intercompany financing structure. The deal was awarded The Airport Finance Deal of the Year — Europe 2017 by Global Transport Finance. A major global energy player: Advising on the sale of its 100 percent stake in its universal service gas trading company in Hungary to a state-owned gas distributor. The national bank of Hungary: Advising on the purchase of a majority stake in Hungary’s stock exchange from the largest stock exchange group in the Central and Eastern European region, and from a specialized institution owned by commercial banks located in Austria. A Hungarian state-owned credit institution: Advising in relation to the joint investment by the Hungarian State and the largest single investor in Central and Eastern Europe in an Austrian-owned leading Hungarian financial institution. 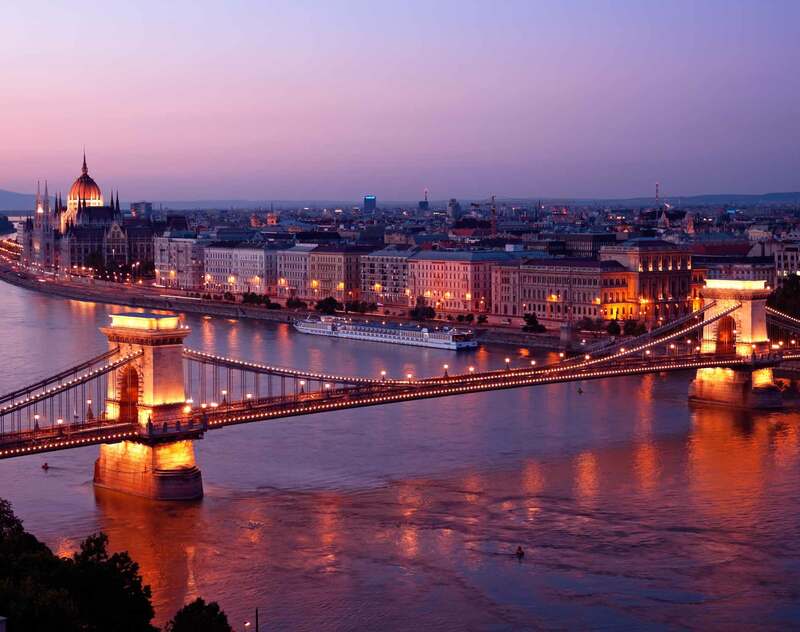 Hungarian banks: Advising a group of Hungarian banks as lenders and Hungary's largest financial services group, as agent in relation to a financing to be granted to the Hungarian branch of a Chinese bank. Hungary’s export credit agency: Advising in connection with various aspects (including transactional and regulatory issues) of the establishment of an agriculture fund under the laws of the Netherlands, with a primary investment objective to focus on equity, quasi equity and convertible debt investments into agriculture and food chain companies having their primary business activities predominantly in Kazakhstan. A leading Canada-based oil producer: Advising on the possibilities / legal background of gas concessions in Hungary and Romania. A Central European government: István successfully led the team which achieved a victory in a high-profile ICSID arbitration initiated by an investment firm which claimed that the government had breached a contract allowing them to build a mega-casino outside Budapest. An airport operator: Advising on the restructuring of the client’s approximately €1.6 billion debt which matured in 2014. This highly complex restructuring deal was named in 2014 the “Europe Refinancing Deal of the Year” in Project Finance International, the “European Airport Deal of the Year” at the IJ Global Europe & Africa Awards, as well as the “Best Restructuring in EMEA” at EMEA Finance’s 2014 Achievement Awards. This debt stemmed from the operator’s US$2.2 billion privatization in 2005, which was the largest privatization in Hungary, and in which István represented the bidder, a UK-based airport operator company. The largest Hungarian electricity company: Advising the client and its subsidiaries on a regular basis. Representative matters have included various acquisitions and disputes, as well as the renegotiation of long-term power purchase agreements with several power generation companies. In 2012, he advised the energy group, as the shareholder, and a regional power station and heating facility, regarding the complex moratorium and bankruptcy proceedings initiated by the power station against itself, in order to reach a compromise with its creditors. The deal was one of the first tests of Hungary’s recently amended insolvency law. A leading telecommunications service provider in Hungary: Advising on a number of matters, including the regulation of its retail tariffs generally and in particular on its tariffs for calls to mobile networks. István also advised the company on the regulatory aspects of its bolt-on acquisition of the fourth largest cable operator in Hungary, and the simultaneous asset sale to Europe’s leading provider of cable television, broadband internet and voice services. He was also a member of the team that advised the company on the €221 million auction sale of its international wholesale division to Turkey’s largest landline telephone company. One of the largest international cable companies and its Hungarian subsidiary: Advising regarding numerous matters including a range of corporate and regulatory issues. As an example, as part of the restructuring of the Hungarian cable TV industry, he represented the client in its successful acquisition of a Hungarian telecom services provider. This mandate resulted in the reduction of direct competitors from three to two in several regions. A European multinational aerospace and defense corporation: Advising in a tender launched by the Telecommunications Service Provider of a leading Hungarian electricity company to select suppliers for a telecoms network using CDMA and LTE technologies over the 450MHz band. The Telecommunications Service Provider is the company responsible for the provision of government telecoms services and a subsidiary of the state-owned electricity company. The tender requirements reflect the terms and conditions of an administrative agreement concluded between the Hungarian National Media and Infocommunications Authority (NMHH) and the Telecommunications Service Provider upon the Telecommunications Service Provider winning NMHH’s recent open frequency tender. Our team has been asked to draft and comment on the consortium agreement concluded among the suppliers, each a known global telecommunications network equipment manufacturing group, as well as to comment on the proposed supplier agreement and to represent the client in its negotiations with the Telecommunications Service Provider. A US-based major film production and distribution company: Representing before the National Media and Infocommunications Authority (NMHH) and the Hungarian Competition Authority (GVH) in relation to its acquisition of 100 percent of shares in a Hungarian satellite TV channel. A Hungarian cable operator and a subsidiary of a leading global TMT sector player: Assisting in maintaining, updating and enforcing its agreement with a Hungarian mobile operator and a subsidiary of the world's second largest mobile telecommunications company. The agreements relate to mobile virtual network operator (MVNO) services over the mobile telecommunications company’s network. The largest single investor in Central and Eastern Europe: István was a key member of the team that produced a legal advisory report about Hungary’s insolvency and restructuring framework for the largest financial investor in Central Europe, Central Asia, and the Southern and Eastern Mediterranean. The report identifies and provides recommendations for overcoming those obstacles in the existing legal framework that negatively impact the ability of banks to resolve non-performing loans. A leading US-headquartered multinational: Represented in a series of court cases in Hungary and abroad, in an aggregate value in excess of US$50 million, arising out of its sale of a Hungarian manufacturing facility. The Hungarian state: Advising on the acquisition of a Hungarian market-leading publisher of official lecture books for primary and secondary education. A major global energy player: Advising on a wide range of significant energy matters within Hungary. For example, he advised the company regarding its strategic internal restructuring, which involved the intra-group sale by a Hungarian-registered energy supply company of its subsidiary, a Hungarian-registered natural gas distribution system operator, to a foreign member of the group. Chambers Europe 2009-2019: Ranked in TMT in Hungary (Band 1). The Legal 500 2009-2019: Recommended in Dispute Resolution, Intellectual Property and in Projects & Energy, and ranked as Leading individual in TMT in Hungary (2012-2019). IFLR1000 2016-2019: Ranked in Hungary in Energy & Infrastructure, M&A, Project development and Project finance practice areas and in the Energy, Government and public policy, Oil and gas, Pharmaceuticals and life sciences, Technology and telecommunications industry sectors (Leading lawyer/Highly regarded). The Best Lawyers in Hungary 2010-2018: Recognized in the practice areas of Corporate Law, Mergers and Acquisitions Law, Media Law, Telecommunications Law and Technology Law. Client Choice Awards 2017: Awarded for Litigation in Hungary.